Welcome to Day 12 of our 12 Days of Children’s Books Gala Giveaway. I’m part of an amazing group of writer friends who specialize in writing engaging nonfiction for kids. We’re the Nonfiction Ninjas! CLICK HERE to visit our website! I want to personally thank each one of you for sharing in our first ever big event! We want to thank you as a group for your enthusiasm for our group, our books, and especially nonfiction for kids! 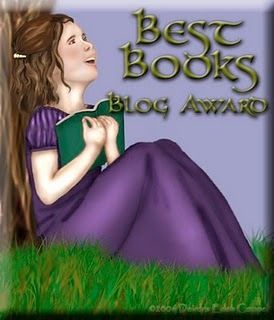 Today is the last day of our event and it’s the day we announce the winners of the 11 awesome books that have been featured each day here on my blog. If you’re a winner, you should be hearing soon from the author of the book you won. Look for their note in your e-mail! And again, thank you for joining in on the fun. And thank you for your love of books for children. We appreciate each one of you! Nancy, thank you so much for doing this. I loved reading about each author and the special book donated. Can’t wait to get mine! Christmas came early! So glad you’re a winner! Merry Christmas! What a great 12 Days!! Thanks to all 11 of you for sharing your books. I’m so excited to have won Stephanie Bearce’s INSANE INVENTORS! You’ll love it! I read it and it’s so fascinating!!! Thank your for your 12 Days of fun! I enjoyed reading about each author and their latest book. Can’t wait to read The Book That Jake Borrowed when it arrives! Thanks to all who joined us for our Gala Giveaway! And a hug and many thanks to Nancy for hosting us for the event! Congratulations to all of the winners!!! Thanks, Nancy Sanders, for doing this. Loved getting a glimpse of the authors and books. Happy Thanksgiving. What a great selection of books you offered during this Gala Giveaway, Nancy! I knew many books but not all.